Slovakia. Bratislava. Martin Turček, a fellow investigative journalist, and editor in choef Peter Bardy at Aktuality.sk. 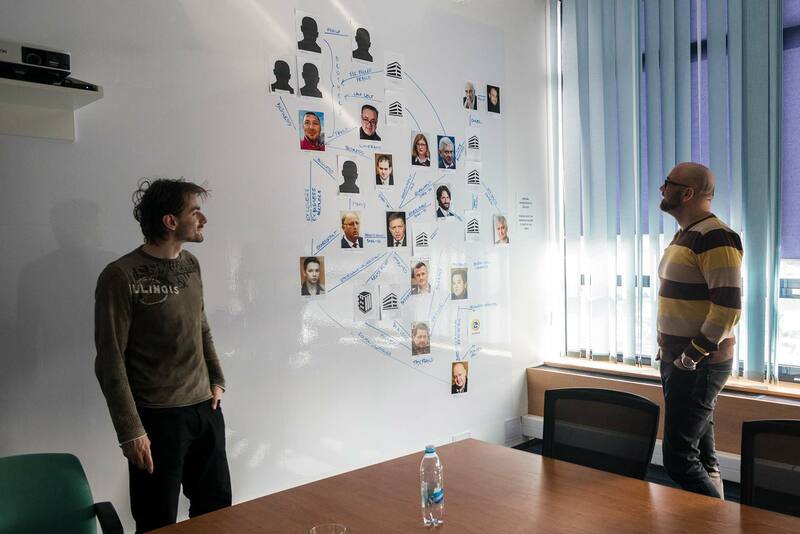 In the background a colleration analysis of the Slovak mafia – the project murdered data journalist Ján Kuciak was working on.